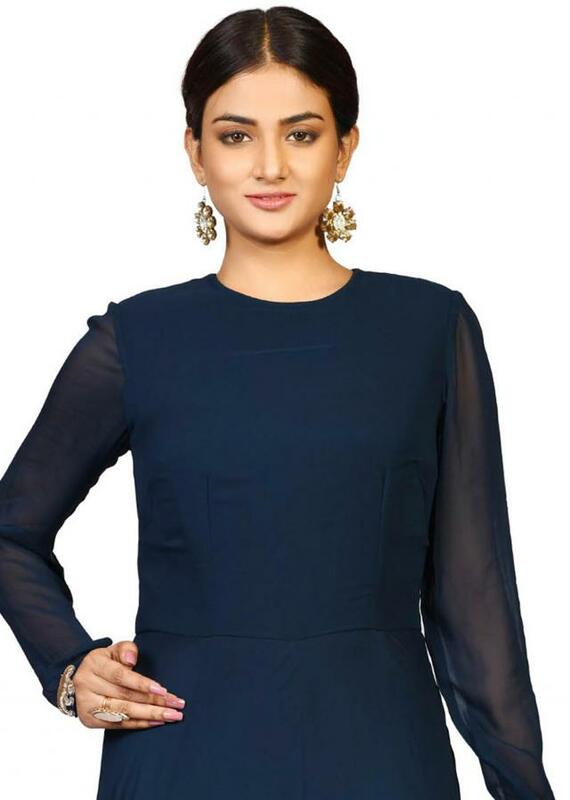 Dress to impress with this flower butta suit in navy blue featured in georgette fabric. 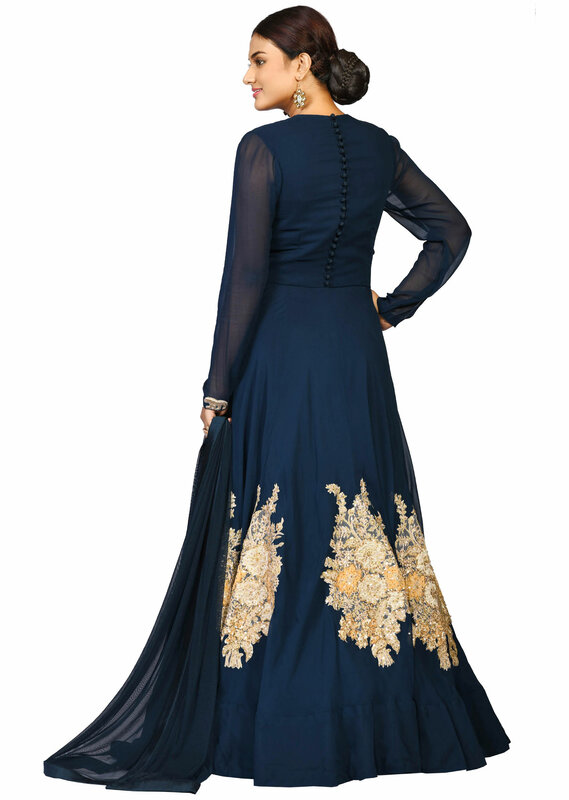 It is intricately designed using the tikki hand embroidery work. The suit is set together with a matching dupatta.